Nice butonned cardigan, marine blue color. Elegant and plain. 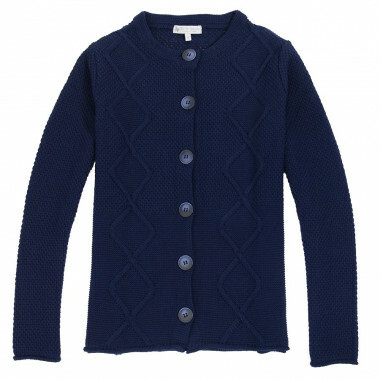 Elegant cardigan with lovely twists and mesh. The finish on sleeves is rolled. Buttons slightly patinated. A vital basic in your wardrobe!